India is considered as the biggest rice exporter all around the world with one-hundred million tons rice exported in the year of 2015. The hectares of land in India used for rice cultivation reach is as high as four-hundred lakh hectares in twenty states. Below is the list of the top rice producing states of India. This is mainly considered as India’s rice granary. The state has its fifty percent arable land that is used to cultivate rice. Truly, this is the biggest rice producer in India with a production of almost one-hundred forty-eight point five lakh tones last year. This is by far the biggest state with fifty-nine lakh hectares of land that is used for rice cultivation. The rice produced in the state is 2300 kilograms per hectare. This state has its fair share of twelve percent in the total rice production all over India. This has its three-thousand one-hundred kilograms/ hectare yield. The rice varieties grown in the state include Swarna, Pushkala, Sannalu, Kavya and Tikkana. This also comes as the third in the list of states that produced the biggest tons of rice. This is the state that is the leading rice producer other than wheat. This is actually identifiable because of its wheat production. This also boasts for its twenty-eight lakh hectares of land for rice cultivation. This also mainly accounts for ten percent of total rice produced all over the country. Basmati is the variety rice that is grown in Punjab. Just last year, it produced one-hundred seven point eighty-two lakh tons of rice. This state has its fair share of seven percent in the entire rice production all over the country. This has its nineteen lakh hectares of land that are used for rice cultivation. This is also on top of the states that has a high number of three-thousand nine-hundred kilograms. This is considered as one of the agricultural states all over the country known for its stable climate, fertile soil including abundant vegetation. The rice cultivation is usually carried out in almost thirty-three lakh hectares. With the adoption of advanced and modernized methods in agriculture, the state is expected to produce more rice varieties. The state has its thirty-seven lakh hectares of land that are used for rice cultivation. The rice varieties grown in the state are as follows; Kranti, Vandana, Abhaya, Tulsi and Aditya. Rice is the main crop grown in the state due to its fertile soil. Odisha has its fair share of five percent total rice varieties produced in India. The major growing areas of the state include Mayurbhanj, Ganjam, Kalahandi and Bargarh. Rice is mainly considered as the staple food of a lot of people in the state. The land used for rice cultivation stands at twenty-five lakh hectares. This also mainly receives excellent climatic conditions and good rainfall. Now, you have learned more about the top rice producing states of India! 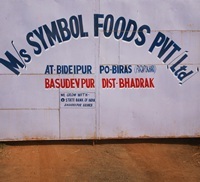 We are from Odisha and we produce quality rice which is sold in the market in the name of “SAANTI”. If you are looking for parboiled rice then, contact our sales team for a price quote.